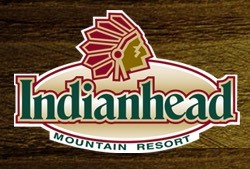 Below are the latest photos from the Indianhead Mountain Page On Facebook. Big Snow Resort has a variety of lodging options for the Red Bull weekend and the SKY BAR will be open! Here are the latest photos of Indianhead Mountain via instagram. If you have an instagram photo to share of your visit to Indianhead Mountain, choose “Indianhead Mountain” as your location and your photos will appear in the photo stream below. Great Spring Skiing. Pic taken Saturday, March 19! 1/2 Price Lift Tickets! Save Big on Lodging Too!! We were there on the 19th skiing with that guy. Best spring skiing I ever experienced! Beautiful day out there today. Still my favorite skill hill in this region. Even Lutsen can't beat it for pure, fun skiing. Some places require too much time before you can actually take your first run and skiing is what skiers want to do. Not drive, not look for parking, not spend time in lines, not fight for space to get gear on. Just ski.